According to some marketing companies, Pak China Town is fully leased and it has obtained valid NOC from Malir Development Authority (MDA). The project is going to be officially launched very soon, however the company has sold out some files of 90 SQY residential plots during this pre-launch phase. Before we move on to sharing available information about Pak China Town Karachi, let us have a look at all projects being planned by the company. As you can see on the image above, the society has put up banners of different upcoming projects. 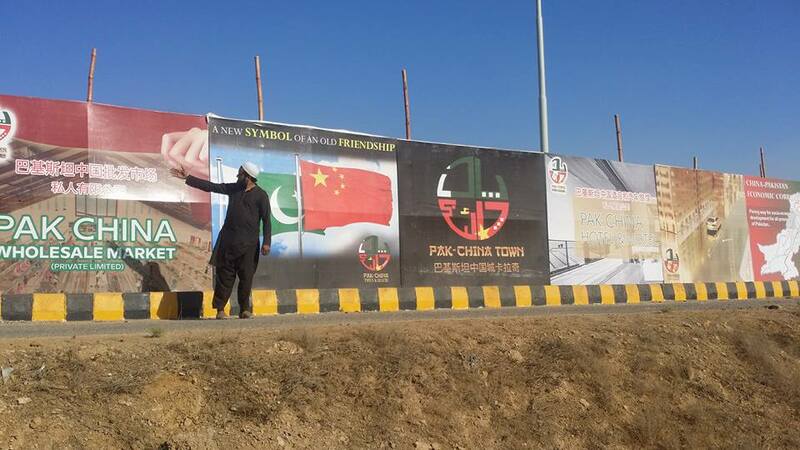 You may also notice a banner with maps of Pakistan & China under a slogan “A New Symbol of An Old Friendship”, which indicates that this whole set of projects is a joint venture of both Countries. 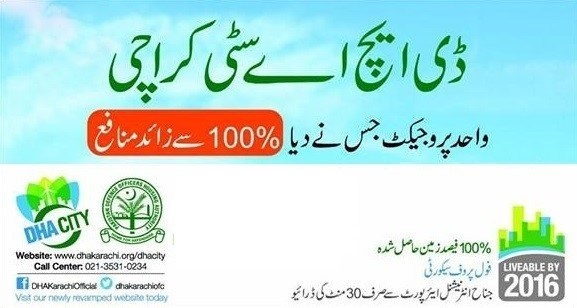 We could not find any authentic information on the above listed projects except Pak China Town Karachi, and that too due to its residential plots which are selling & re-selling in the market like hot cakes. All of the listed projects are planned within the boundary of a large area on Northern Bypass, therefore it seems to be some sort of smart city comprising multiple development projects. As you can see on the marked location, the society lies close to MDA Scheme 45 & 46, and this area is situated at a little distance from Fazaia Housing Scheme Site No. 2. If you visit the company website, you will not find any information but the names of each upcoming projects. Nonetheless, an online file verification form is given on the website which is used to check the validity of any plot file which you are buying from the market. 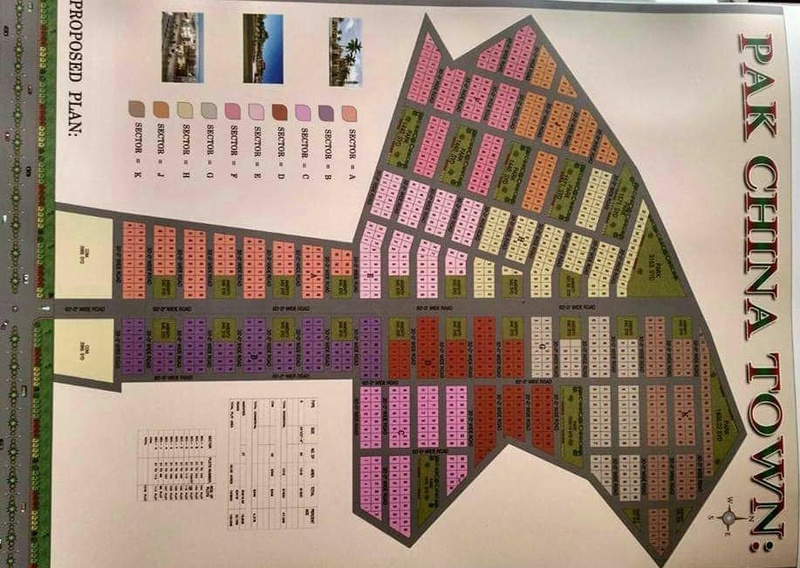 A provisional master plan map of Pak China Town is also available in the market, which shows different sectors i.e from A to K. As the society has sold just 90 SQY plot files, this provisional map seems to have only that size of plots in each sector. Pak China Town plots have high demand in the market due to low prices. Currently a 90 SQY plot file is selling for approximately 5 lac rupees. Many investors are involved in this sale purchase activity, and they are realizing quick gains. Plot files are unballoted, however blocks have been mentioned on the files. Plot numbers will be allotted through balloting after the official launch of the project. It is important to mention here that Pak China City Private Limited is planning an official launch very soon, and more plot sizes will be available only after that event. 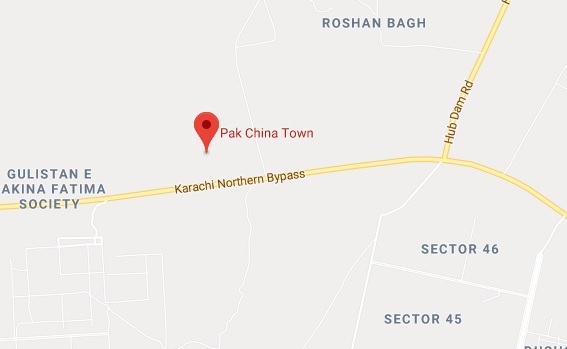 There are no further details available that we can add here, however we will update this page after we manage to get some official information on Pak China Town Karachi.